What an interesting place to live. Over twenty years ago I came to Mexico for my health. With a small backpack and nothing to lose, I headed south from my home hoping for something better. That was the smartest move I ever made. I drifted south to Puerto Escondido Oaxaca, a place I had visited as a college student. I made a few good friends, learned some Spanish and walked along the sunny beaches boarding the Pacific Ocean. I found some inner peace, better health and happiness. I was so fascinated with the culture, the foods, and the people - I decided to stay. In 2015, I became a Mexican citizen. This site is about my experiences and things that interest me in Puerto Escondido, Oaxaca and Mexico. I love the foods and I am interested in Mexico's exceptional history, so a lot of information relating to them will be concentrated here. I will avoid Mexican politics from 1968 on and the drug war. I live in an area that is kind of rural and not all that developed; I tend to visit rural areas and many of my photos will reflect this but please remember Mexico is a modern country. Geri's Corner, Geri writes about her experiences and insights into the life of an expat in Mexico. Updated! Moringa, a Super Food. New! Bodas Colectivas: Mexico's mass weddings. New! Huatulco, Eco-Archeological Park Copalita. Updated! Fruits and Vegetables of Mexico. First of five pages. New! Bodas Colectivas: Mexico's mass weddings. Book Review: Living, Laughing, Learning in Mexico by Geri Anderson. Certificado de Antecedentes No Penales (de Oaxaca). Constancia de Antecedentes No Penales Federal. Dates of Mexican Statutory and Civic Holidays. Día de Muertos, What is Día de Muertos? Fruits, Vegetables and Foods of Mexico. Geri's Corner, Geri writes about her experiences and insights into the life of an expat. Geri's Corner, Excavating a Two Decades Old Memory in Oaxaca. Geri's Corner, On the Trail of the Purple Snail. Geri's Corner, Libros Para Pueblos or Libraries For Children. Geri's Corner, A Visit to one of Mexico's Oldest Continuously Governed Cities. Geri's Corner, My First Visit to Migracion. List of all diplomatic and consular missions in Mexico and their contact information. Mesoamerica, Lesser Known Historical Facts. New 20 Peso Coin and 100 Peso Banknote Commemorating the 100th Anniversary of Mexico's 1917 Constitution. Nopala, A Day Trip to Santos Reyes Nopala. Nopala, Stelae of Santos Reyes Nopala. Oaxaca City, Photos of the Main Cemetery. Passport, Acquiring Your First Mexican Passport as a Naturalized Mexican. Puerto Escondido, The Botanical Gardens. Puerto Escondido, The Cross at the Point above Playa Zicatela. Puerto Escondido, History of Puerto Escondido. Puerto Escondido, Massive Swell Hits Puerto Escondido, 3 May 2015. Santa Catarina Juquila, Sanctuary of the Virgin. 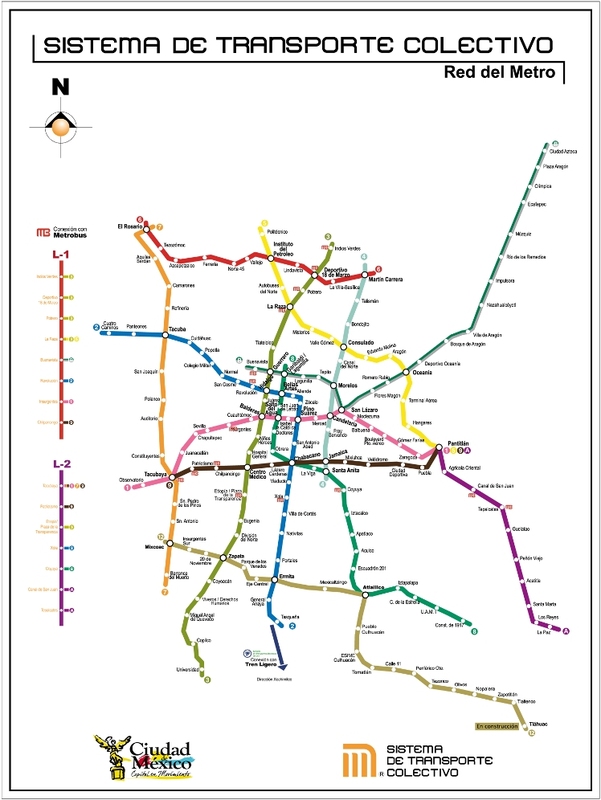 Subway Map of Mexico City. Tututepec, Geri's Corner, San Pedro Tututepec.